How much does it cost to register a team? Why should I fundraise if I am paying a registration fee? How many members are on a team? Teams race with 20 paddlers, a drummer, and a steerer (provided by Dynamic Dragon Boats). Teams may have 4 alternates, for a total of 25 team members, or can race with a minimum of 16 people. Each team must have at least 8 female paddlers. The minimum age to participate is 16, with parental signature. I don’t have enough paddlers for a team, how can I participate? Contact Event Specialist, Angelica Archer at dragons@wncbridge.org and she can put you in touch with other teams needing additional members. You can also sign-up as a Jade Sponsor for $100.00 on the day of the race and have the option to register with a team looking for paddlers that same day. Will there be an opportunity to practice? Yes, each team has the opportunity for 1-2 practice sessions the week before race day, based on space and availability. Practice days and times are first-come-first-served, so register your team early and reserve your practice sessions. Professional steerers and Dynamic staff will train each team during the practice week. Do we need to bring anything on race day? Your team should bring a 10 x 10 tent (if desired) and tent decorations, water, sunscreen, bug repellent, and a competitive spirit. There will be food vendors onsite, as well as refreshments, snacks, and kid-friendly treats available. Dragon boats, paddles, and all safety equipment are provided by Dynamic Dragon Boats. All team members are required to sign a Smart Waiver before participating. How long does it take to race? Races are 250 meters- about two football fields long. It will take just over a minute to paddle going full speed. Each team will race three times, with top teams racing in a final round. What if I am not very athletic? 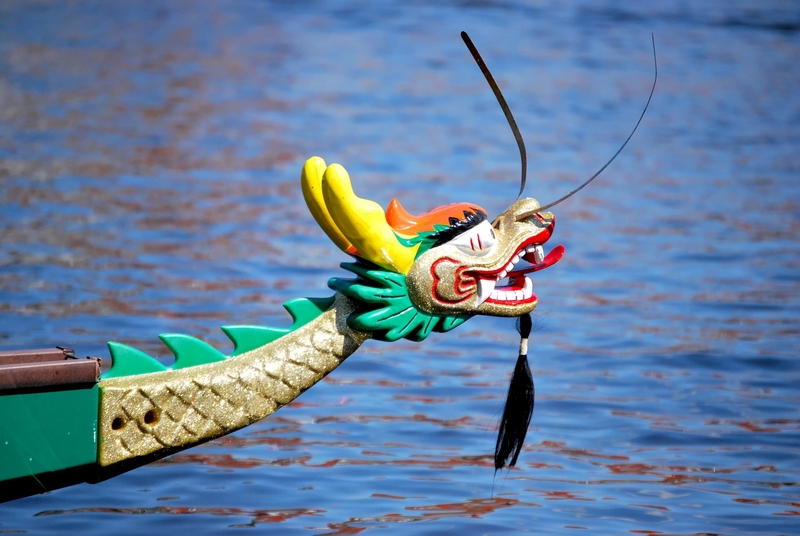 Almost anyone, regardless of size and fitness level, can paddle in a dragon boat race. What off-water competitions are available? Non-racing awards include top fundraising team, top fundraising individual, best-dressed drummer, best team name, best tent décor/tailgating, and a Judge's Choice award. Awards & medals are for Gold, Silver & Bronze winners and divisional winners. Is there a fee for my friends and family to come to watch me race? No, there is no fee to attend, bring all your cheerleaders! Practices and races will not be canceled or postponed due to rain. What if we change our mind, can we get a refund? No, there will be no refunds. If following payment a team decides not to participate, the full payment, minus a $100 holding fee, will be returned if the team notifies CarePartners Foundation prior to 6/01/19. Following 6/01/19, teams will be reimbursed the full payment, minus a $100 holding fee-only if a replacement team can be named. Please remember this is a fundraising event run almost entirely by volunteers in support of a nonprofit organization. OK, you’ve convinced me. How can I get more information or register a team?